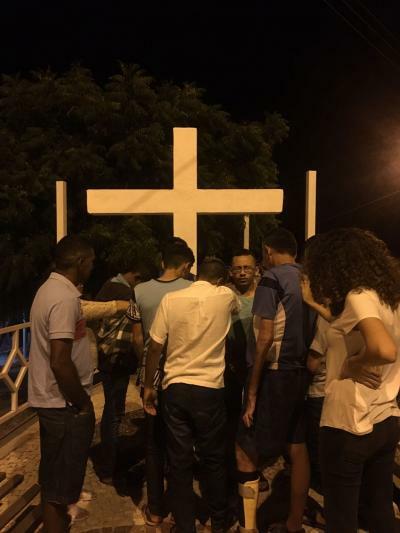 Even though Brazil has a large evangelical population, there are still many areas that are ‘unreached’, where there are no local churches to disciple or share the good news about Jesus. One of our goals for 2018 is to bring the gospel to villages that are still unreached. We recently had the opportunity to go to one such village, Cafundó, which literally means ‘forsaken place’. Cafundó is hidden away on top of a mountain. This village is so out of the way that it was unknown to the government until 2011. 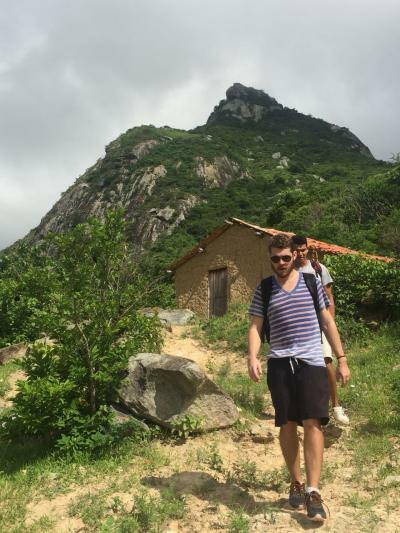 The only access to the village is by foot, hiking up the steep and rocky slope of the mountain. We are hoping to take a team there in April to show the Jesus film and share about the love of Christ. There are many other villages like this one in the region where we live, and we feel compelled to go and share about the hope that we have in Jesus. Before we arrived in the area we are currently working in (Pie Monte), it was also unreached, and there was no church in the region. We planted a church here, and for the last few years we have been walking alongside the believers, teaching them and encouraging them to deepen their walk with Christ. Some of the couples in our church are simply living together and are not married yet, which is very common in the region where we live. My parents came out to visit in February and had the opportunity to share a biblical perspective on marriage. 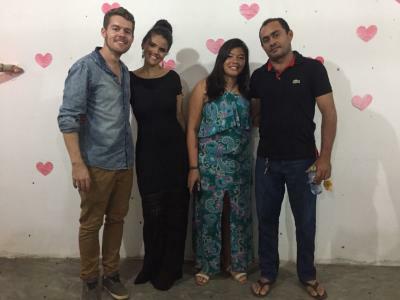 We held a ‘love banquet’ in our church, with the goal of showing our church the wonderful blessing that marriage is. The believers in our church received the word very well. We are hoping to conduct a few marriages in the near future! Our work in the local high school continues, and we are starting to see more fruit. We have started holding services on Saturday nights at the city square in Choró, and we are seeing young people give their lives to Christ! The young people in this small city have such a hunger and thirst for the Lord; a hunger that He is so willing to satisfy. We are planning to move our missions base to this small city of Choró, as we feel that this will enable us to be more effective in ministering to these young people, as well as reaching more of the surrounding villages in the region. Please pray for us as we make this transition. We plan on continuing to work in the village where we currently live (Pie Monte), and serve the church we planted here. Please pray that God would cause these believers to grow in maturity and dependence on the Lord, rather than on us.